I saw a painting of it in one of the art galleries on famous King Street in Charleston, South Carolina. It was calling me from across the room: the Grandmother of all Trees! 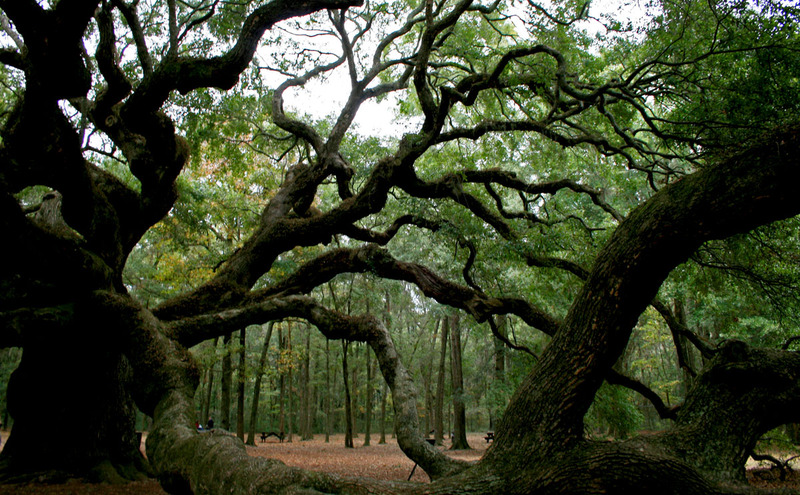 She had a name and a location – Angel Oak Tree, Johns Island. The tree was summoning me, I had to find her. Miraculously, it was close to where I was staying and my friend drove me there. 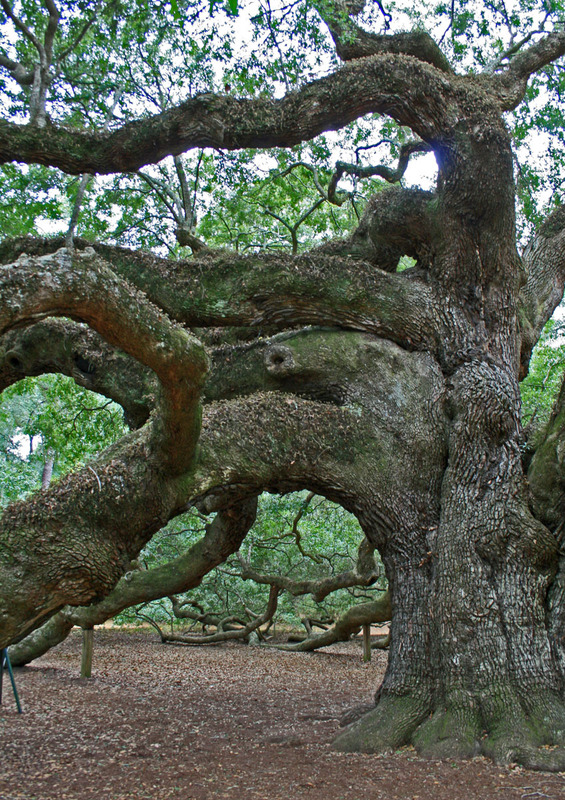 Angel Oak lives on Johns Island and is a Southern live oak (Quercus virginiana), very different from our Northern oak trees. An extensive fence around the tree announced that the City of Charleston owns this area and sends its most committed police men to patrol it and protect it against vandalism and tree-climbing bandits. To make sure that there can be no misunderstanding, there are even more signs set up under the tree reminding visitors not to carve the tree limbs or climb around on them. 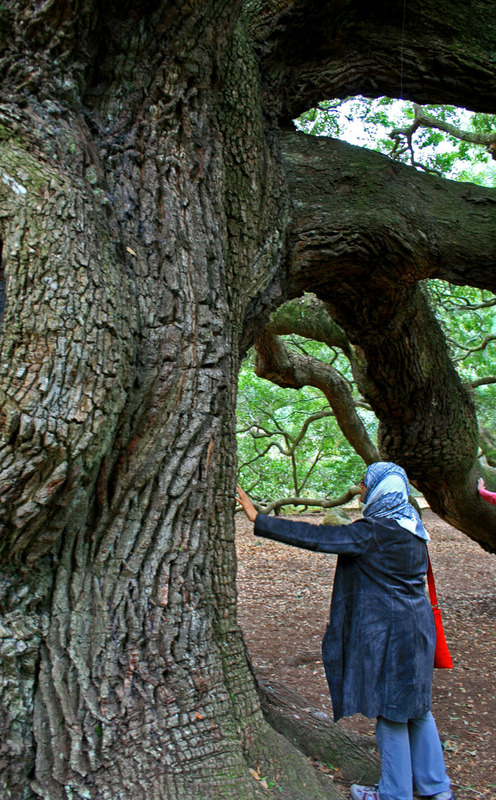 The oak was previously owned by the Angel family; however, local folklore tells of another source for the name of the tree: ghosts of former slaves are said to appear as angels around the tree. If this tree could talk, what stories would it tell? 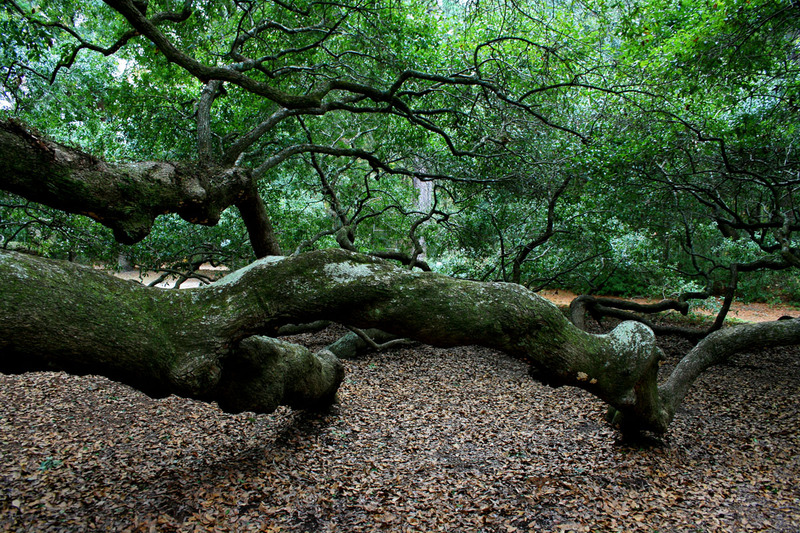 Looking out towards the young forest surrounding Angel Oak, you can see the contrast between the puny size of the much younger trees keeping a respectful distance from Grandmother Tree. He tells us of the albino squirrel he saw sitting on the tree, posing long enough for him to paint its whispy ghost image into the tree. 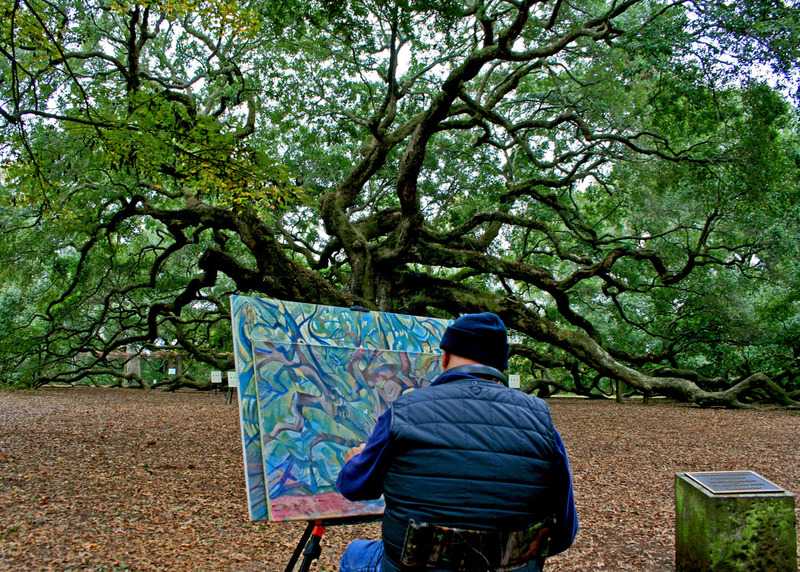 This entry was posted in Adventure and tagged ancient tree, Angel Oak Tree, art gallery in Charleston, Johns Island, live oak, painter, Quercus virginiana, South Carolina, white squirrel. Bookmark the permalink. Wait, is that the famous tree that’s on a development land and that could be chopped off? There was an article on NPR a few months ago about this and it caused a lot of complaints from all over the country. It IS!!! Looks like they had until Nov 21 to raise enough money to buy that part of the land. Do you know if they succeeded? Do they have any signs about that by the tree? Hi Milka (and Annette). The drive was indeed successful and we are all very relieved. I live on Kiawah and do a lot of work with the Conservancy so we have all been following this one very closely! 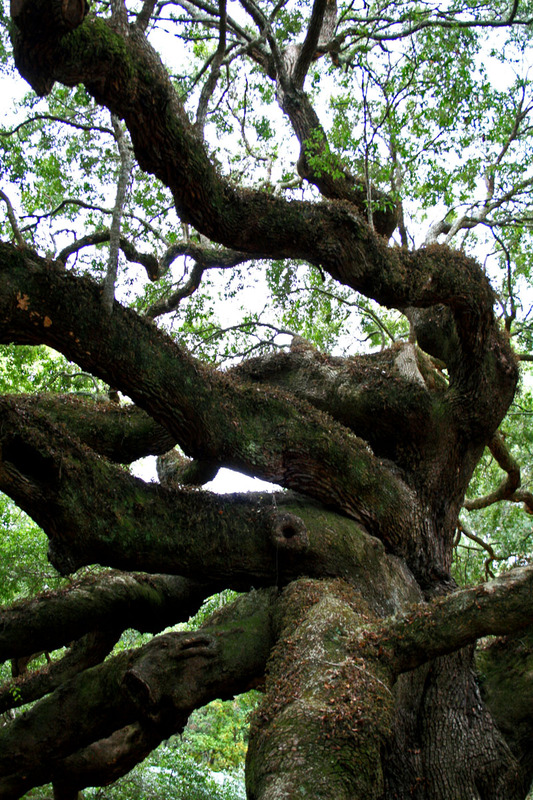 The Angel Oak is a local treasure that is incredibly important to all of us! So glad you helped to protect this amazing tree. I can see the magical draw of that tree and why you had to seek it out. She has seen so much over her lifetime! You captured the tree so well in your photos. Yes, there is magic in and under this tree. Thank you, Kat. Amazing tree, thank you for sharing this with us! Thank you for stopping by, Ute. The City of Charleston owns the tree and the land, I believe. I am hoping that it is just a matter of protecting the land area around the tree so construction traffic does not affect its vast root system. It’s beautiful! Thank you for sharing with your amazing photos. I love the one of the painter with the tree in the background. I want to go see her! Your photos are amazing of this old giant. I would love to photograph it. I love your photos of the artist. Thank you, Cee. 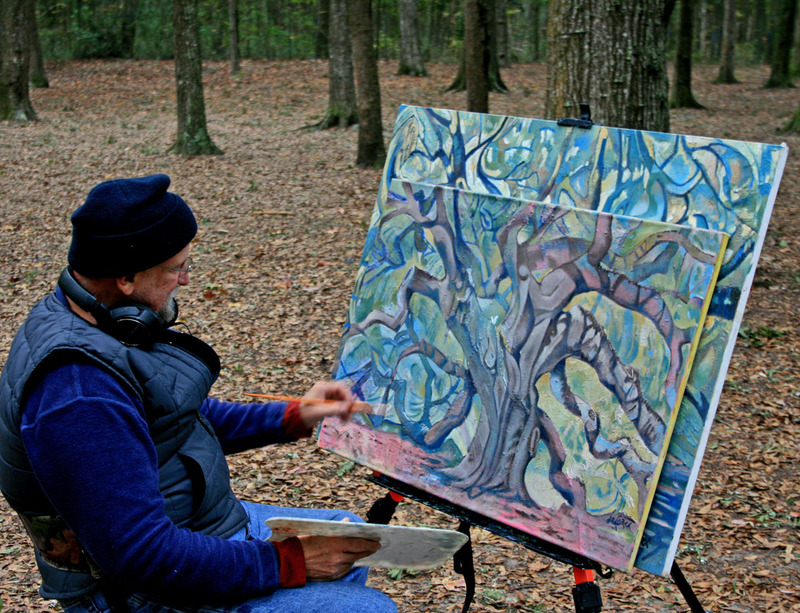 Coming across the painter and hearing his tree stories and seeing his two canvasses gave the whole experience yet another dimension. Yes, I had those same thoughts – considering that the Civil War and the Revolutionary War, the Colonial period, slavery and all of those historical times were happening while the tree was already ancient I see the Amerindians who were very quickly displaced by the early colonists using that tree already as a meeting place…. 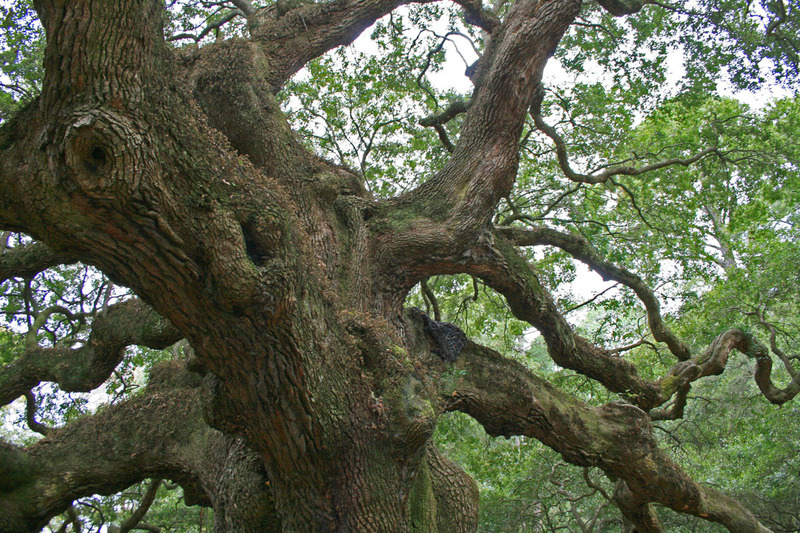 What a beautiful and incredible looking ancient oak…..there is always such a feeling of peace under very old trees, and the shapes the branches have come to form are so inspiring. I love the shots of the painter working away directly under his muse 🙂 What tales could be woven from the what this old soul has witnessed. Yes, that feeling of peace and ancient-ness is often present among these trees. 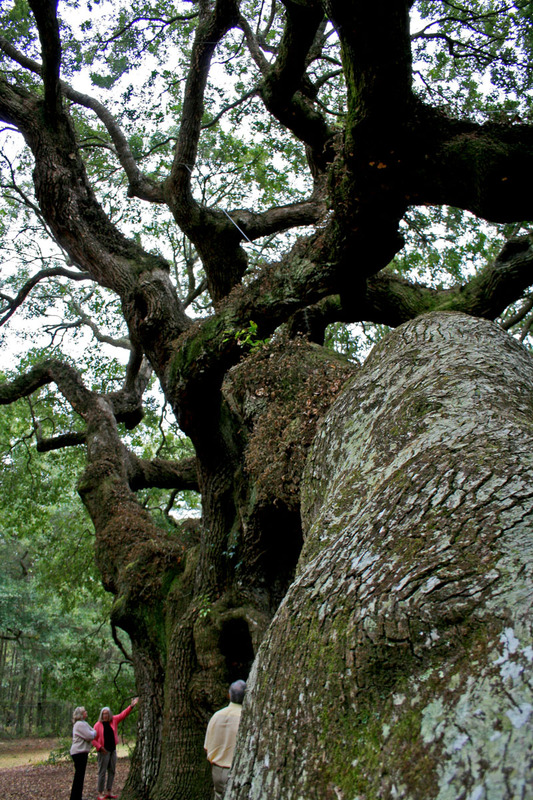 I know you have some favorite old trees you have introduced us to on your blog….Plants are some of the oldest living things on our planet and they have an accumulated intelligence among them that is probably superior to our human intelligence. They have so much to tell us if we would only sit still long enough to hear…. Oh my gosh! 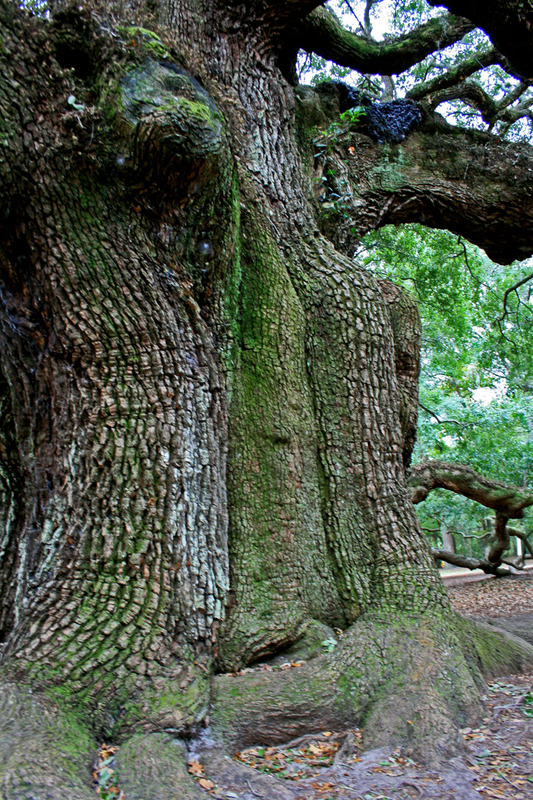 thank you for sharing these images of this mighty oak tree!! It brings tears to my eyes! Soooo amazing!! Cheers! She touched you deeply, just through the pictures! So happy to hear this, Holly. I would love to see this tree. I hope they don’t cut it or harm it. Beautiful pictures and heart warming post! Thanks for sharing. Thanks for stopping by, Charu. Thank you – I had a great subject to explore and play with! 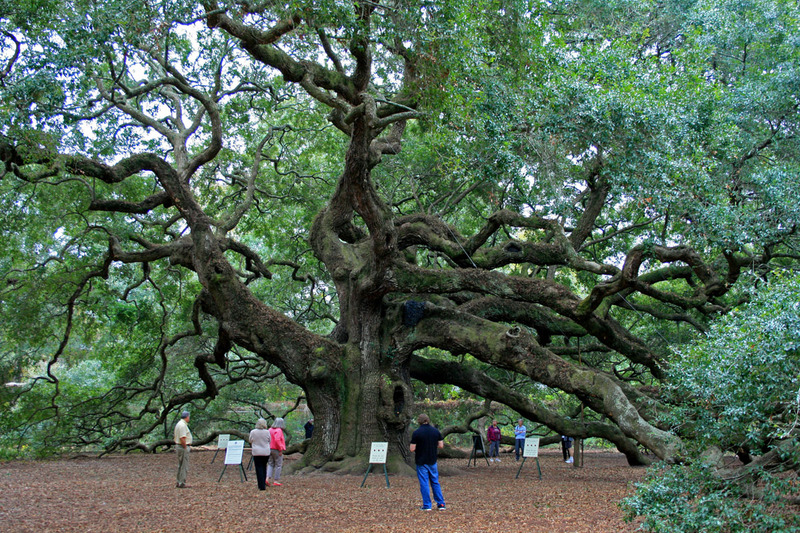 Annette, I am so happy to see your photos of our glorious Angel Oak. Those of us who live nearby adore it. I take all of our visitors to see it and everyone is equally amazed at its grandeur. Thanks for posting about it! What a pleasure, Tina, to share this beautiful tree with the rest of the world. You must have fantastic photos of Angel Tree throughout the various seasons. Will you post some, pretty please? 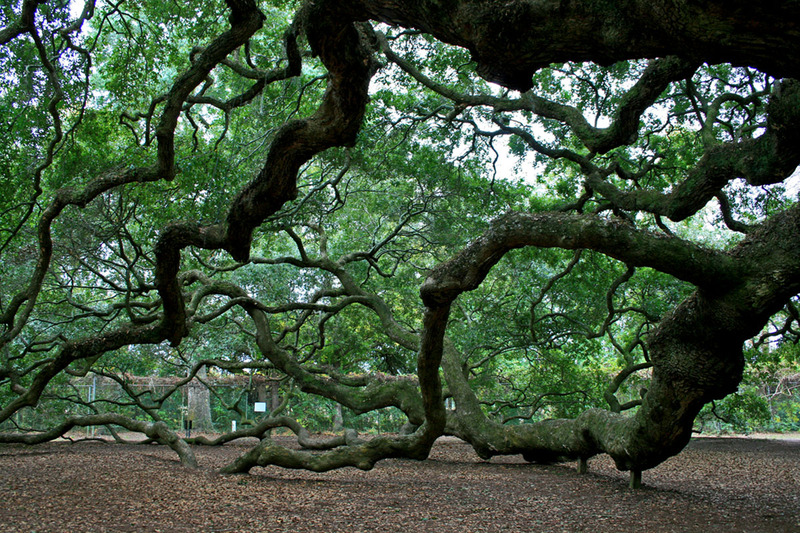 My boyfriend and I plan to have our wedding under the Angel Oak one day! I love your pictures of it, they’re very unique and different from any I’ve seen. I can see a wedding being held there – the Tree is a natural cathedral! Do you live in that area? We live in Lexington, SC, just south of Columbia. My boyfriend has seen the tree, but I’ve only lived here for a year and a half, and haven’t had a chance to go yet. I love trees, and can’t wait to see this majestic beauty! Hope you get to visit Her soon! Again nature as artist! Thanks for sharing it with the rest of the world! I’ve heard that the Native Americans believe that each tree sings its own song. I wonder what this old girl sings. In consideration of the story of the ghosts of slaves being associated, was this treet used for lynchings? I shudder to think of a lynching. Honestly, I don’t know…. Wonderful post. Thank you so much for guiding me here. It’s magnificent, thanks for showing me through your superb images! Hi Gilly – it’s a magnificent tree, isn’t it!? So glad you enjoyed the pictures. You’ve made some wonderful captures of an amazing treasure, Annette. Very nice! Thanks, Jane, I am sure you’ve taken photos there as well. 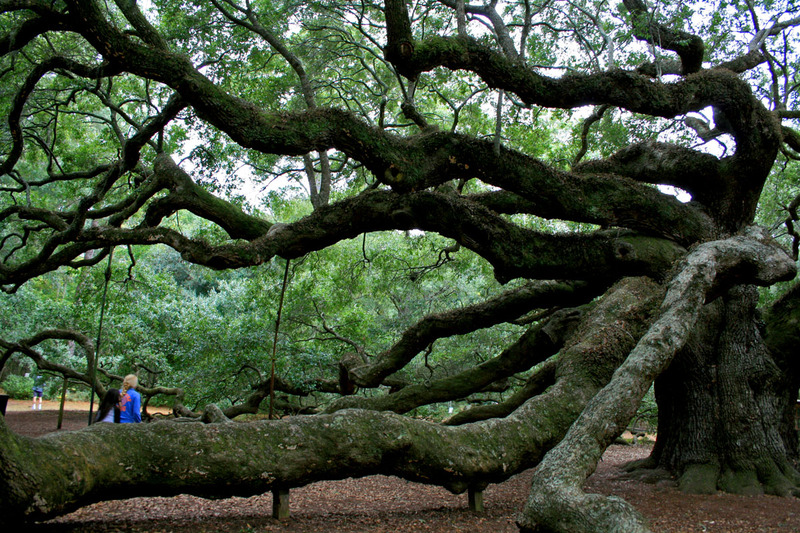 Do you have a blogpost on Angel Oak? So glad this tree inspired you. I’ve been back several times to visit and it continues to mystify me.